Nepal, a cultural connoisseur’s heaven, a trailblazer’s paradise and a nature-lover’s delight; this mystic land has enchanted travelling community from eternity. Abridged between Indian and Tibet, Nepal has an enviable geography,which comprises of mountains as high as the Himalayas and low-lying wetlands that serve as a home to Indian Rhino & Bengal Tiger, the endangered ones. The culture, heritage, religious believes, ethos and lifestyle of people are equally interesting and has engrossed tourists from all walks of life. On the other side of this travelogue is Bhutan, a remote kingdom - known as the ‘Last Shangri-La’. Nestled in the eastern Himalayas, the country primarily safeguards its cultural dignity and integrity by defining limits for tourism. Though tourism is a major capital earning element yet the Kingdome believes in limited tourism and happiness of Bhutanese. Mountains, Monasteries, Forts and Local Lifestyle have been the major tourist attractions of this place. Designed with attention to all details, this 10 days holiday package of Nepal & Bhutan will take you around places such as Kathmandu, Bhaktapur, Paro, Thimphu, Punakha, Chimi Lhakhang and other places of tourist interest. Exploring landscapes, the people, the history, wildlife, art & architecture and customs of the places keeps the visitors engrossed during the tour. This Nepal &Bhutan jaunt is meticulously planned by Max Holidays Team so that you experience the best of these Himalayan countries. Comfort, safety and engagement of travelers is ensure in those packages so that whenever you remember this holiday, you smile back with lifetime experiences and happy memories. Arrive Tribhuvan International airport at Kathmandu and get assisted transfer to your hotel by Company representative. Overnight at Kathmandu. After breakfast in the hotel start sightseeing tour of Kathmandu valley visiting the famous temples. Visit 25 century old of Swayambhunath Temple which is the world’s oldest Buddhist Chaityas and one of the most sacred Hindu temple of Pashupatinath. Both these age old temples are classified as ‘UNESCO World Heritage Site’. 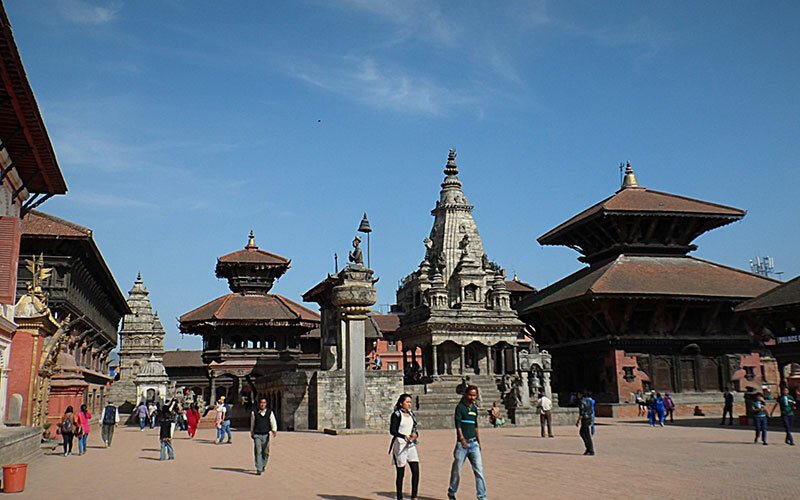 After visiting the temples visit royal complex of Durbar Square built in 17th century. 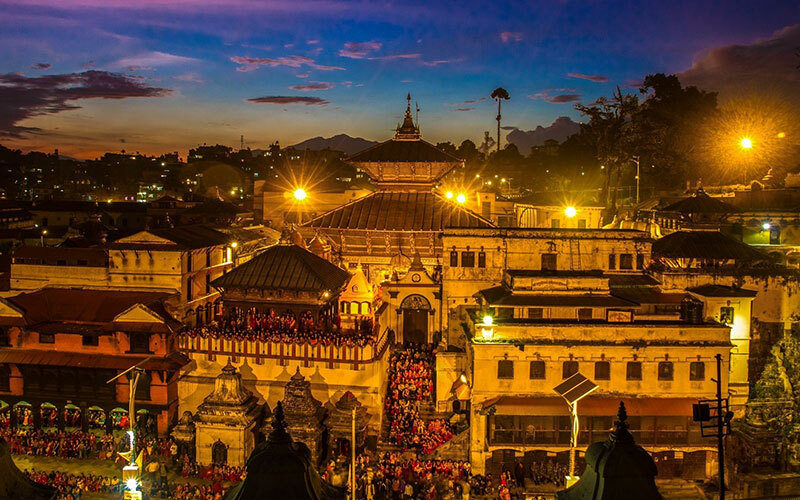 Durbar Square remains the witness of celebration for several local festivals round the year. In the second half of the day drive northeast of the Kathmandu city to visit the World Heritage site of Boudhnath stupa. Situated on the ancient Nepal-Tibet trade route the temple has been the place of prayers for the traders for many centuries. In the evening walk around the stupa with prayer wheels. Later drive back to Kathmandu and taste a Nepali meal while enjoying unique cultural dances. Overnight at Kathmandu. Untill the second half of the 15th century Bhaktapur (the city of devotees) was the capital of Nepal during the Malla Kingdom. Listed among the UNESCO World Heritage Site, Bhaktapur houses the best preserved old city and palace courtyard and is the ‘Cultural Gem’ of Nepal. After finishing the sightseeing drive back to Kathmandu for leisurely stay. In the morning you will be transferred to Kathmandu airport from where you board your flight to the Kingdom of Bhutan (often referred as Kingdom of Thunder Dragons). On reaching Paro airport transfer to the hotel . Later enjoy sightseeing trip of Paro visiting Rinpung Dzong which houses the monastic body of Paro, District Administrative headquarter, Paro district court and the oldest shrine of Kyichu Lhakhang. Overnight stay at your hotel in Paro. After breakfast drive to Thimpu the capital and one of the fastest growing city of world. Thimpu is now a modern city but the traditional architecture of the town is still an attraction for the travellers. Visit Memorial Chorten built in 1974 in the memories of Bhutan’s third King Jigme Dorji Wangchuk. Also visit the Handmade Paper factory and Handicraft and Textile Emporium rest of the time free to explore the local markets of Thimpu. Night stay in the hotel. Walk around in the morning and after breakfast make your way to Punakha. Enroute stop at Dochu La Pass (3150m) to enjoy the beautiful view of Eastern Himalayan Mountains while having some tea. On reaching Punakha check in at your hotel and then pay a visit to Punakha Dzong which has impressive architecture and paintings. Spend leisurely time in Punakha beautiful valley. Spend leisurely time exploring the natural beauty of the valley and splendid of Himalayan ranges. After breakfast disembark from the Houseboat and drive to Kovalam. Upon arrival, check in to hotel. After early breakfast head to Wangde Dzong which is situated at a confluence of two rivers. On the way visit Chimi Lhakhang temple dedicated to Lama Drukpa Kuenley known as a Divine Madman. Continue drive to Paro where you stay in the hotel. Intime board your flight to Kathmandu. 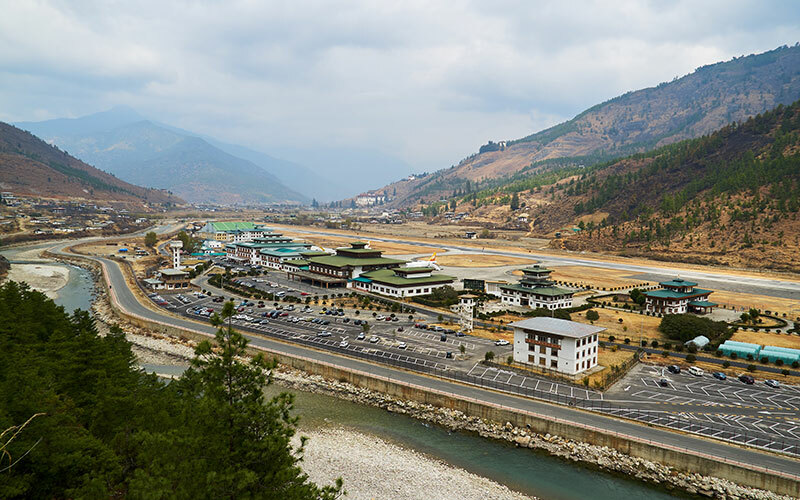 Airport transfers will be arranged in Paro and Kathmandu. In the evening visit the local market place of Kathmandu and spend leisurely time on your own. Stay in Kathmandu hotel. Fly out of Kathmandu in your flight to home or onward destination.